Some of the most beautiful plants in the world are dangerous. They’re alluring, beckoning you closer with their shape and their bloom, and by the time you realize the peril you’re in, it’s too late. In nature, beauty can be a weapon. 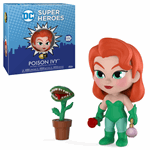 So it’s fitting that Poison Ivy, Gotham’s beautiful-but-deadly eco-terrorist, would use it as hers. Some terrorists fight for their corner of the world, but Poison Ivy fights for the world itself. She’s a self-appointed defender of the environment. To her, plants have as much right to live as people…maybe more. Ivy sees humanity as a threatening blight the planet would be better without. Her utter conviction, combined with her noxious abilities, make her a beautiful but daunting adversary that should never be underestimated. Funko is thrilled to dive deeper into the world of storytelling and pop culture with their latest line of collectible vinyl figures - 5-Star! Now you can get some of your favourite DC heroes and villains in this amazing 5-Star format! 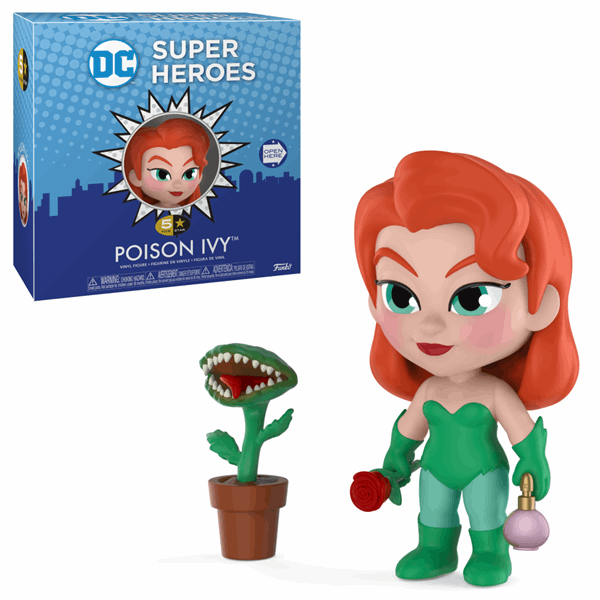 Here we have Poison Ivy who comes complete with accessories including a rose and killer plant. An absolute MUST for any true DC Comics collection!